Also called: arbor vitae/the tree of life, Krono’s blood. * True cedar is of the Thuja and Libocedrus genii. Some Junipers (Juniperus genus) are also called “cedar”, thus complicating things some. Some Juniper varieties are cleansing herbs, especially J. monosperma, or Desert White Cedar. But for smudging, the best is Western Red Cedar (Thuja occidentalis) and California Incense Cedar (Libocedrus descurrens). Associations: Mercury; Jupiter; the sun; the elements of earth, water and fire; the goddesses Arinna, Artemis, Baalat, Rhiannon and Venus; cedar represents the southern direction according to Native American tradition; symbolic meanings: consecration and longevity, healing, cleansing and protection. Elders say to put some in your shoes and only goodness will come your way. It is one of the four sacred Native American medicines. The leaves are cleaned from the stems and separated into small pieces, which are used in many ways. Although all cedars are honoured, for Anishinaabeg peoples the Red Cedar is especially sacred. Red cedar or Juniperus virginiana is known as Miskwawak and is one of the sacred trees. It did and does have medical uses, but the main thing to realize about it is that this tree is sacred. Red Cedar is very much alive spiritually. It has the power to help us by purifying our own spirits, ourselves and as a preparation for some ceremonies, like the Pipe ceremony. Everyone fans the smoke over their hair, face and heart; greets the spirit and thanks it. At the sweat lodge, a few bits of red cedar frond are dropped first on the hot rocks. Its fragrant smoke purifies the lodge even if there is not enough cedar around where you had to build it to line the floor around the hole with it, as you should if you can. Among Ojibwe, the name for cedars-in-general is giizhik or giizhag the plural, very similar to the word for moon/sky: giishik. The ordinary, common sort of juniper is called gagawan dagisid,”the deceptive one”. This tree is sometimes locally called white cedar, though other species are also known by that common name elsewhere. It was used for general utility purposes. There are several ways to tell the difference between Red Cedar and White Cedar (“the deceiver”). Red Cedar likes shallow, limy soil, tends to grow in high or at least rocky places. White Cedar likes swampy boggy soil or at least deep humus and lots of water. The trees’ foliages are different too. Red Cedar burns with the strong aromatic smell of ceremonial or private purifications. Red Cedar’s wood is beautiful and aromatic — used to line chests, drawers, and closets to perfume clothing and keep moths away. White cedar lacks those qualities, but its wood is rich in preservative oils. White cedarwood makes strong frames, sidings, shingles that weather to a beautiful pale-striped grey, and lasts a long time against harsh weather. People burn larger amounts of cedar, using branches or bowls, to smudge or purify places or to invite the spirits to help us there. Its fragrant, aromatic smoke helps to clean up thoughts and emotions of bad, hurtful, harmful things. Cedar is burnt while praying to the Great Spirit (Usen’, the Source — also known to Plains nations as Wakan Tanka) in meditation. In the tradition in the Northwest and Western Canada it is used to bless a house before moving in. Cedar is a druid sacred herb. Ancient Celts on the mainland used cedar oil to preserve the heads of enemies taken in battle. This was used by the Egyptians for magical cosmetics and perfumes, incense and to embalm mummies. It was also venerated by the Romans and the ancient Mesopotamians. In his Herbal, Dioscorides called cedar “the life of death”. Cedar smoke purifies the home. Use it in smudge sticks, incense and sweat lodges. The smoke of an herbal mixture of sage and cedar; sometimes blended with lavender, copal or sweetgrass; cleanses your room, altar, tools, magickal components and yourself of unwanted energies. It can be used in a ritual to cleanse anything and it helps prepare for ritual. Helps to repel bad dreams. Spiritual protection: Burn cedar incense before going to bed. Healing dreams: drink tea-potion made from catnip or mint, burn cedar as a magickal dream incense, or sleep with agrimony, catnip, mint, sandalwood or thyme under the pillow. The scent is said to enhance psychic powers. Good luck pillow: cedar, sage, violet, mint. It is antiseptic, nourishing and aids regeneration. 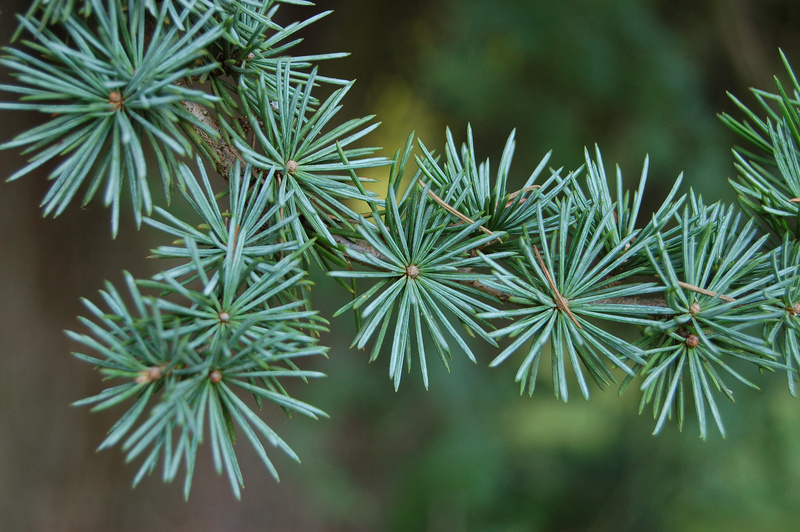 In times of crisis or stressful situations look to Cedarwood (Atlas Cedar – Cedrus atlantica) to give strength. It helps to steady the emotions while helping us hold firm against external forces. Cedrus atlantica combats acne, dandruff, dermatitis, eczema, greasy skin and fungal infections. v Cuts through mental blockages to deepen our connection to spirit. Excellent for deep relaxation, meditation and psychic work. v Yellow cedar is used internally and externally as an anti-fungal (the dry powder is excellent for Athlete’s foot). v Yellow cedar is used by herbalists to treat bloody cough and heart weakness. Simmer two teaspoons per cup for twenty minutes and take it cold in one-tablespoon doses, three to six times a day. 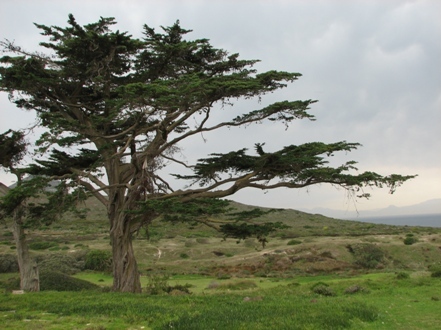 * The wood of the Atlas Cedar subspecies is distilled to produce the essential oil. Mix all ingredients and store in the refrigerator. Oily complexions respond best to basil, eucalyptus, cedar wood, cypress, lemon, sage, lemongrass, yarrow and ylang-ylang. Leaves and inner bark: good cleanser when illness is around. Cedar is very strong and is considered powerful for removing negativity. When burned, cedar acts as a purifier (it has a long tradition as a purifying agent), cleansing the area in which it is burned and emitting a pleasant scent. Cedar may also be used to smudge your crystals: Simply hold your crystal in the smoke of the incense or smudge stick and let the smoke carry away any unwanted energies. You only need to do this until your crystal feels cleansed. Dragons: Fire, Volcanoes, Water, Seas, Light, Dark, Chaos, Wind, Storm, Desert. Type of ritual: purification, exorcism. Cedar chips or shavings burned as part of your incense purifies the vibrations of your sacred area and house, driving out all negative entities. Fresh cedar boughs are used as brooms for purification, exorcisms and to cleanse temples.